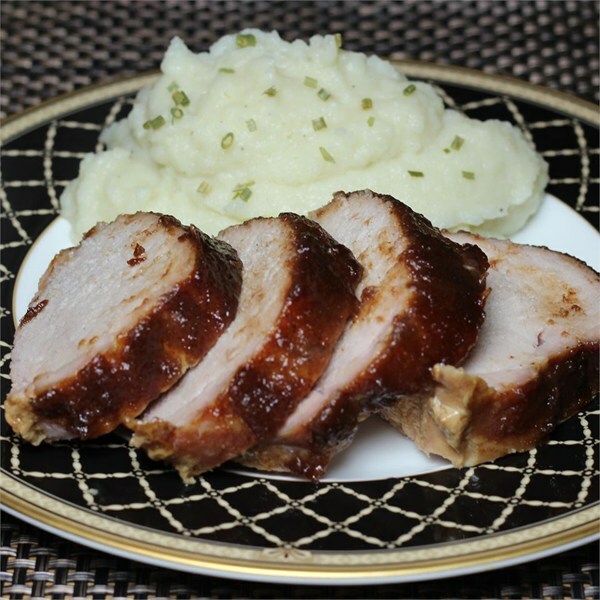 Season the pork loins with seasoning salt, and place them in a 9x13 inch baking dish or small roasting pan. Pour apple juice over the pork, and cover the dish with a lid or aluminum foil. Bake for 1 hour in the preheated oven. While the pork is roasting, mix together the apple butter, brown sugar, water, cinnamon, and cloves. Remove pork roasts from the oven, and spread with apple butter mixture.